Thursday night Brianne completed another phase of her treatment. We are very happy to have this round done and over with. We are even happier about the fact that Brianne made it through with very few side effects. On Friday we were at the clinic bright and early for Bri's count check. We packed a large bag of activities expecting that we would have to stay for a transfusion. To my surprise her counts were high enough to make it through the weekend. Her hemoglobin was 9.1, platelets 53,000, and ANC 230. The two sores in Brianne's mouth have been keeping her from eating, so she was prescribed a new numbing medication. Also, because her immune system is so low they also gave her an antifungal medication which should help the sores heal. We expect her ANC to continue to drop because her monocytes are so low. Once her monocytes go up we will know that her bone marrow is working again. After going to the clinic we went to Brianne's friend Grace's house to do a Halloween craft. 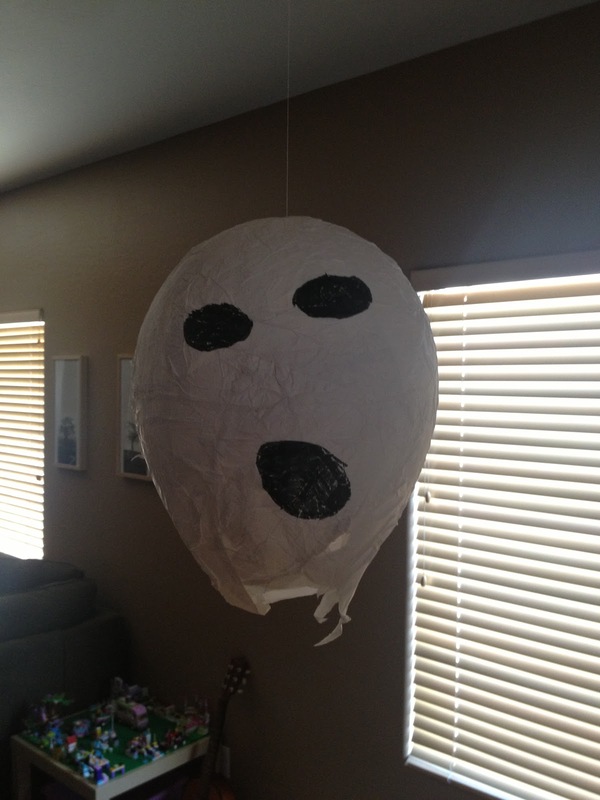 She made a paper mache ghost. Brianne decided it is called paper mache because it is mushy paper. Yesterday we went to another amazing Hope Kids event. Brianne was able to wear her beautiful dress made by B. Belle Couture. 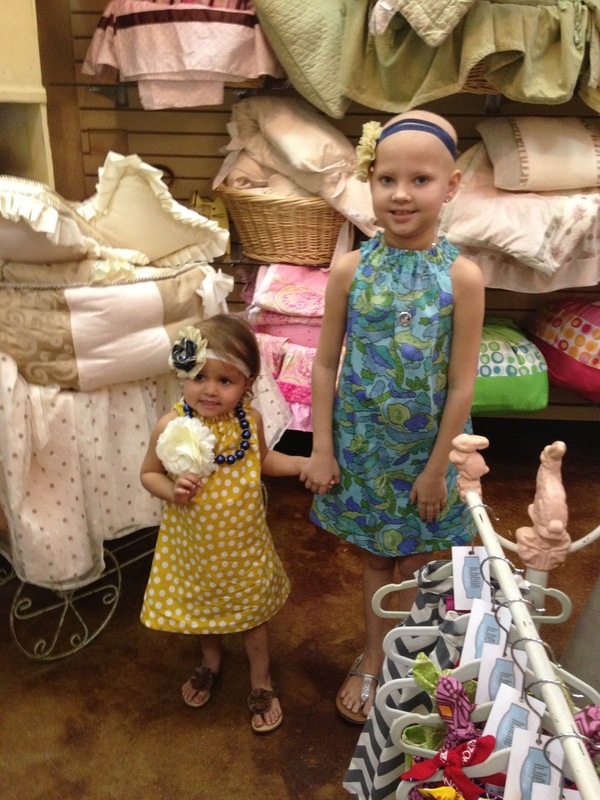 Brianne was also excited to see her friend Bella. Her and Bella were the models for the day. We did a lot of browsing at Moonbeams and Brianne finally decided on a pink, blue, and yellow bubblegum necklace. There was a wishing well at the event with all proceeds being matched by Moonbeams. Brianne emptied out her piggy bank and said that she wished that all of the Hope Kids would get better. I think she brought enough coins for every Hope Kid :). We will be back in the clinic on Tuesday morning for another count check. At this point Brianne is not taking any chemotherapy. As long as her counts recover she will start her next phase, Interim Maintenance 2, on October 26th.